My first rocksbox set arrived this weekend and I couldn't have been happier! 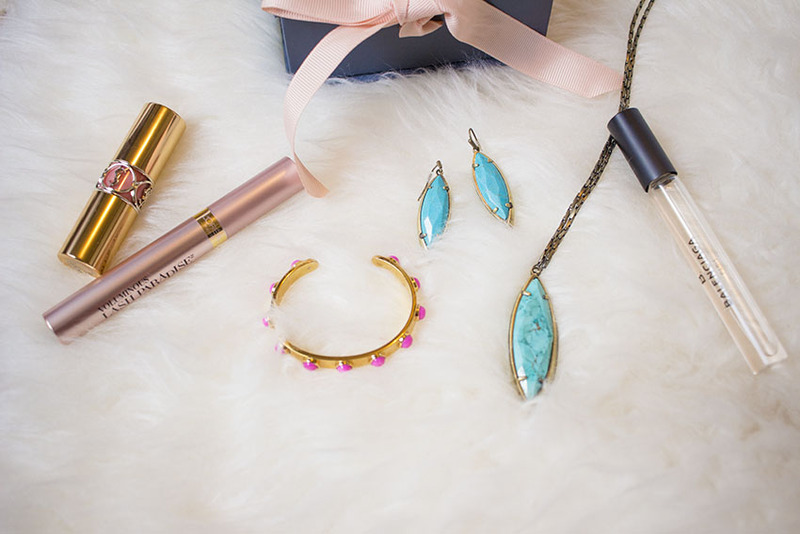 It's the perfect way to try out jewelry from brands like Kate Spade and Kendra Scott. I had put each of these pieces into my wishlist and was thrilled to see I got them when I opened my rocksbox! The past few months I've been into accessorizing more so this lets me switch up my jewelry every month without spending too much money. That way I can put the money I save towards clothes haha :) One of the things I love is that if you truly fall in love with a piece you get the option to buy it at a discounted price. 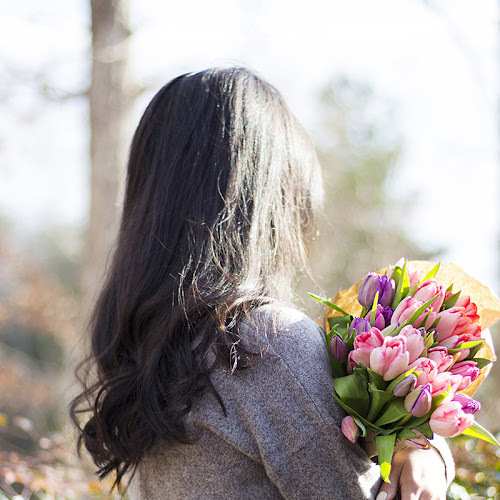 Now for the best part, all of my readers can get their first month free by using coupon code simplynancyblogxoxo at checkout!! 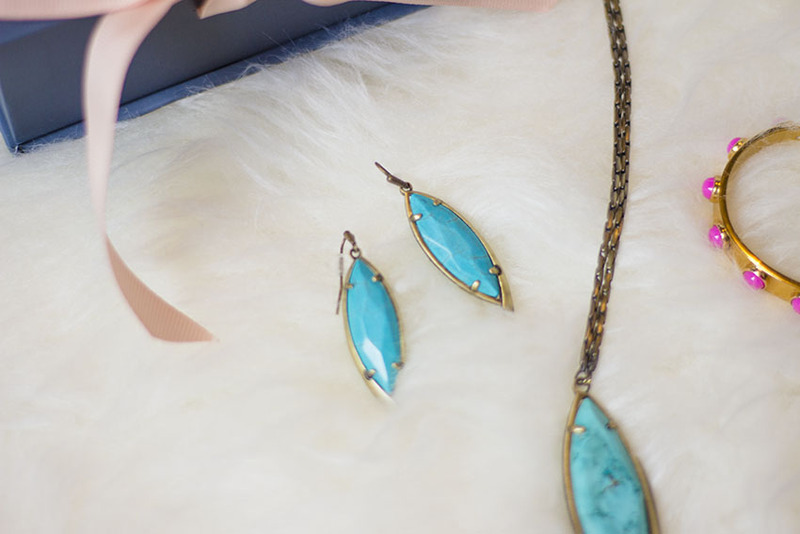 For summer I'm crushing on turquoise so these Kendra Scott earrings and necklace will be the perfect pop of color to my outfits. 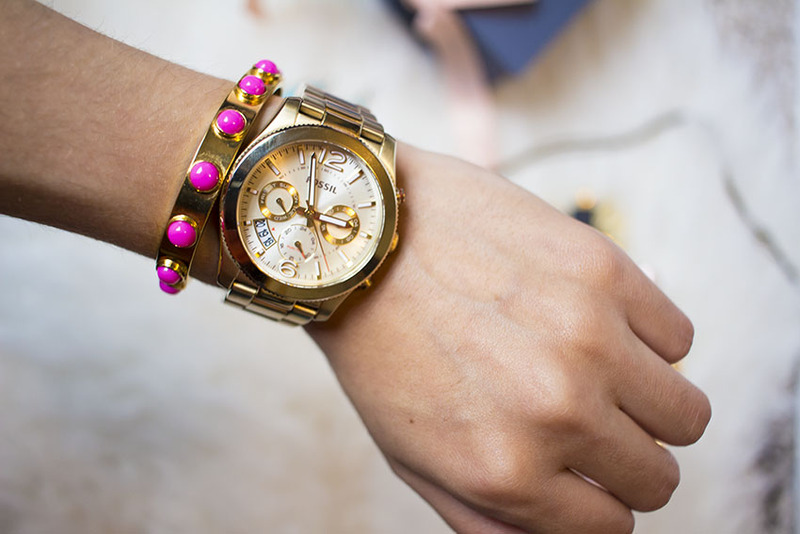 And the Kate Spade cuff is right up my alley too! It's gold and pink, what's not to love about that. 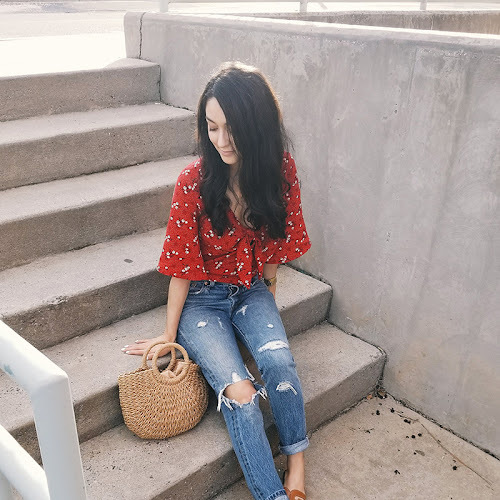 As you saw from yesterday's blog post I wore all of my pieces together to add some color to my neutral look. 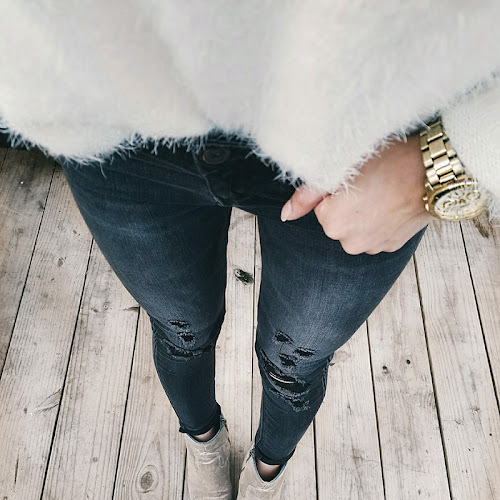 That's the great thing about having a closet filled with basics in neutral colors haha! What do you guys think of the pieces I got this month? 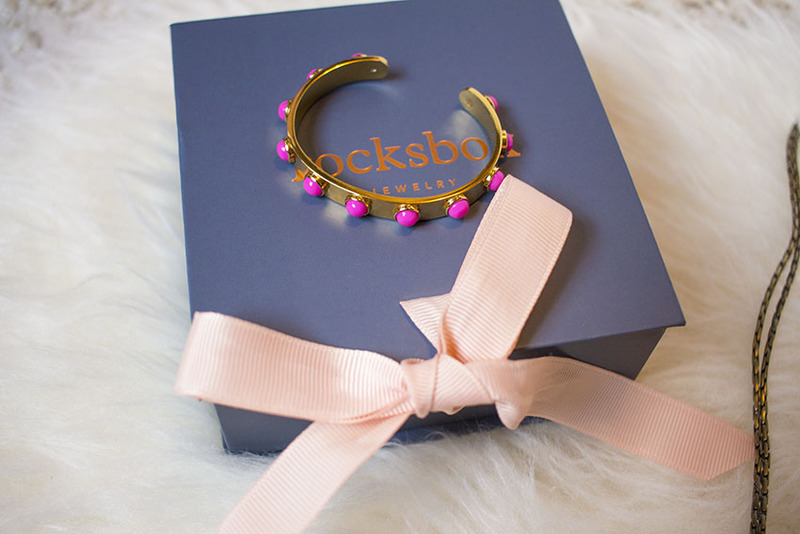 And have you tried rocksbox yet? 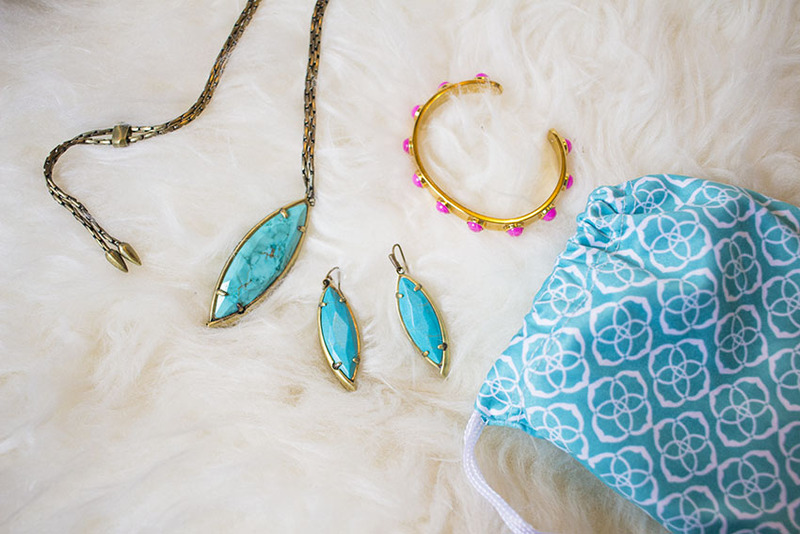 I love the accessories especially the blue green/mint green necklace. Thank you Ann!! It really is a gorgeous necklace!